Another personal work based on "classic" Sonic characters. 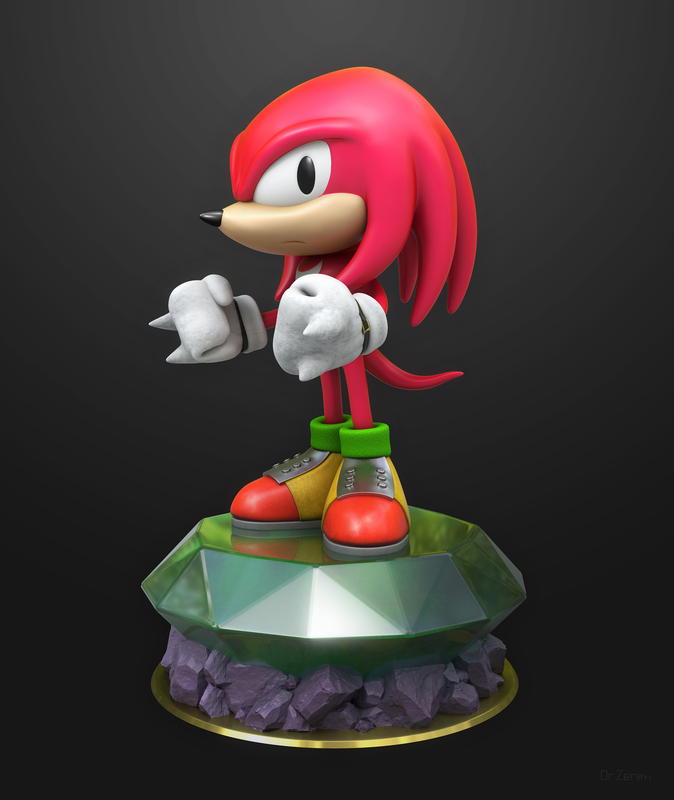 A sprite was used to get the base mesh as close as possible to Knuckles' first appearance in Sonic 3. He's stood on top of the Master Emerald which keeps Angel Island afloat.